The Best Forearm Exercises | Valet. Want to be sexier and stronger? Then don't neglect this under-the-radar muscle. When it comes to upper body strength, what comes to mind? Your biceps, chest and maybe your shoulders. Your forearms don't get the respect they deserve. Which is a shame, because they're pretty damn important. 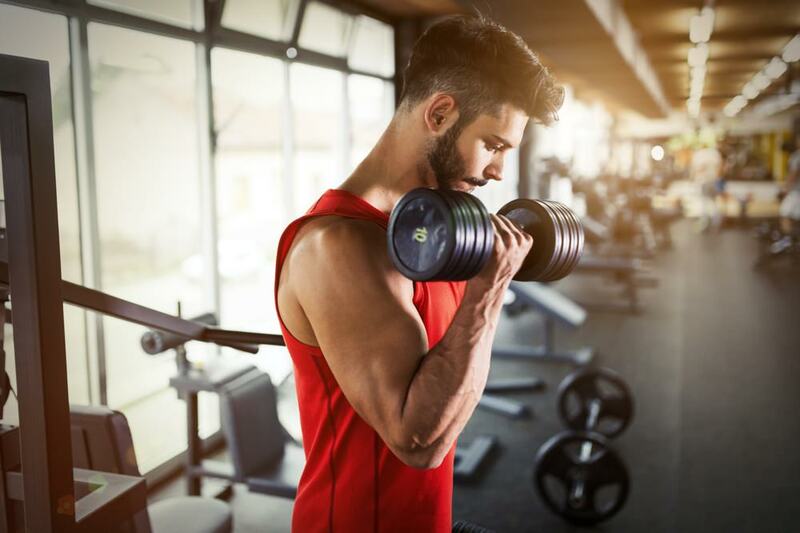 "The forearm flexors—wrist flexors, really—are the same muscles that help us grip everything from a barbell to a doorknob," explains Neal Pire, a certified New Jersey-based trainer and sports conditioning expert. Meaning that if you want to easily carry bags, pick up kids, move furniture or simply lift more weight to build a stronger body, you need to work your forearms. The result will be a stronger grip. Not to mention fuller, thicker forearms—the appeal of which has been well documented online. So if you want to look sexier and actually be stronger, target your forearms with these three dedicated exercises. This is a great move to do for high repetitions. And it will give you a noticeable muscle pump. 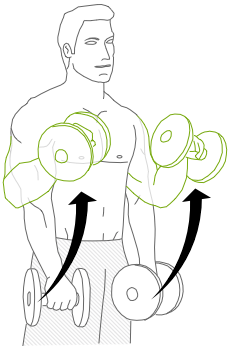 Stand with feet hip width apart holding a dumbbell in each hand, arms by your sides, palms facing behind you. Keeping the elbows tucked, slowly curl the weights up slightly above 90 degrees. Reverse the move to return to the starting position, and repeat. Don't be deceived by how easy this move looks and sounds. The small and simple motion targets your wrist flexors—crucial in building grip strength. 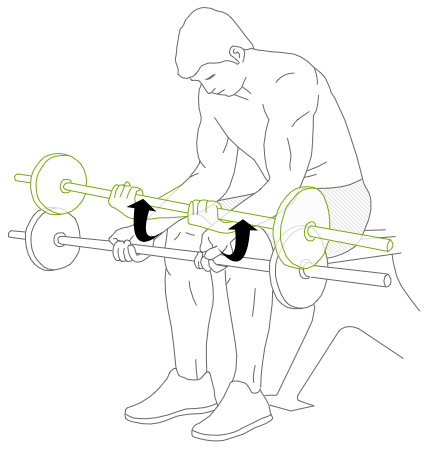 Holding a barbell or a set of dumbbells, sit on the edge of a bench, box or chair. Rest your forearms on your thighs and allow your wrists to bend back over your kneecaps so the weights hang down. Without lifting your arm off of your thigh, curl the weight up toward your biceps, and slowly lower it back to neutral. This bodyweight exercise is a great way to intensify your grip training while working your wrist adductors. 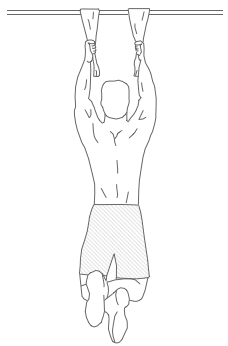 Hang a large towel (or two smaller towels) over a pull-up bar and grasp the ends in each hand with a tight grip. To supercharge this, lift your feet off the floor, hanging with your your ankles crossed behind you. The forearm contains 20 different muscles, including flexors for your fingers and elbow as well as pronators and supinators that rotate your hand face up and down. Can the right workout gear make you better in the gym? Turns out, yeah it can. Reduce post-exercise stiffness and soreness with these easy and affordable cures.